I recently added cheese-making to my list of hobbies because part of my brain thought I didn't have enough on my plate already. I love good quality cheese and when I shifted to a high fat, low carbohydrate it was one food passion I could indulge. I was given a cheese-making kit for my birthday and the starter's guide contained a recipe for Quark. It was the first time I had heard of it! I think I have uncovered the secret source of power for all those German adventurers. 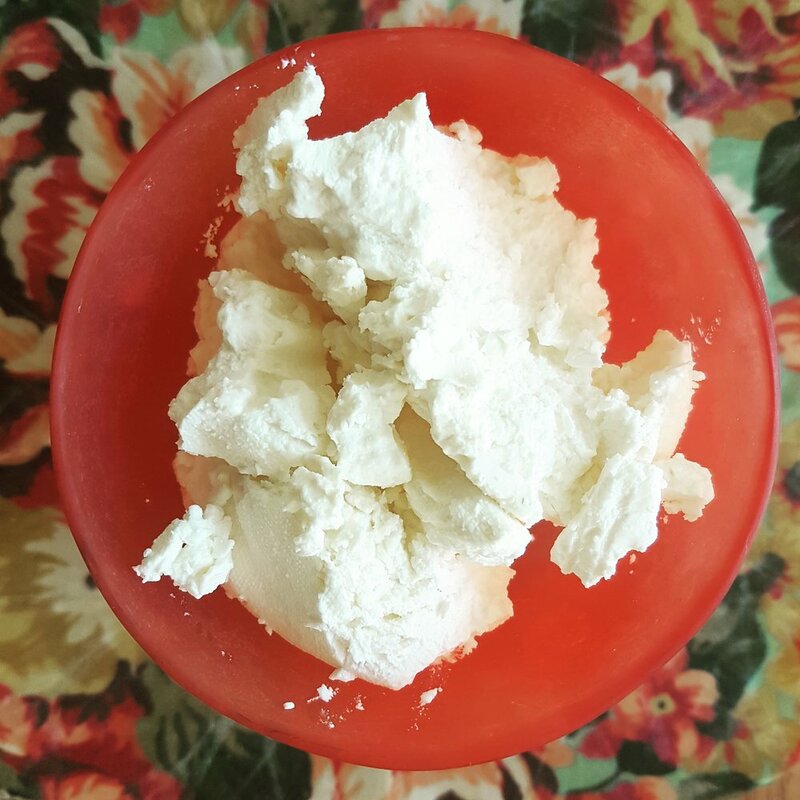 It is a soft cheese that can vary in consistency (I make it like ricotta) and tastes like extra tangy yoghurt. I jumped onto the internet to find out more. From what I've read the typical macro-nutrient profile per 100g is as follows. I have compared it to Greek Yoghurt to give you an idea of where it sits. Quark is super easy to make, the recipe I have uses two ingredients and...(traditionalists please look away)...I used the microwave to heat the milk, saving on the mess factor. It takes only a few minutes of effort but curing and draining time can be up to 48 hours. Recipe links below. Apparently, you can buy it at the supermarket but why not have a crack at making it first. This recipe is pulled straight from the starter's guide of a Mad Millie Cheese Making Kit. There are a ton of other recipes on the internet. This is the most basic one I have found. Hang the sack over a sink (I do it in the laundry) and let it drip for another 12-24 hours and then it is done! Store refrigerated for up to 7 days. If my instructions are a bit too rough there are a heap of videos on youtube, each with their own particular way of doing things. Have some fun exploring!